Many pitfalls exist when buying a foreclosure home. You obviously need to learn about the physical condition of the property to determine what needs to be repaired, replaced or upgraded. Another must do is to obtain a title search. The title search will show what liens or judgments encumber your property that were not discharged as part of the foreclosure process. This article summarizes additional due diligence matters to consider that are not necessarily disclosed in your physical inspection or title search. Overlooking code enforcement and homeowners' association violations can be easy to miss and very costly later. 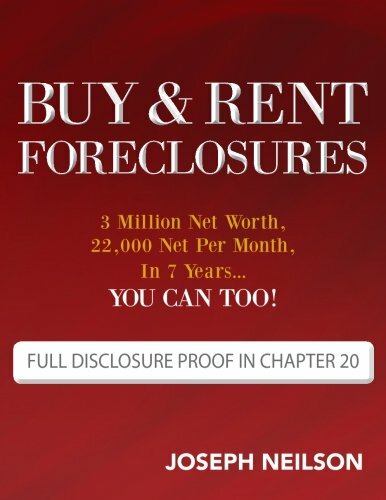 Often, foreclosure homes are in poor physical condition. Each locality has a code enforcement department to make sure that properties are kept in good condition and are not renovated or repaired in violation of city or county code. A homeowner can run afoul of the code enforcement rules by allowing the property condition to deteriorate, which is common in foreclosure homes, or by undertaking certain kinds of repairs on their own without a valid permit. Another problem occurs when a permit has been obtained for a given activity, yet the work was not completed and the permit remains open. An open permit often requires hiring a different contractor to complete the work or provide a valid contractor with a license to allow the final inspection to be completed. Either way, resolving the matter is an expense. What a potential buyer needs to do as part of their due diligence activity is call the local code enforcement agency to determine if any open code enforcement violations exist for the Credit: BoomerBillparticular property. If the code enforcement problem has existed long enough, the agency could have filed a lien on the property and that would be disclosed in the title search. Unfortunately, you cannot rely on the the code enforcement lien to already be recorded. Many municipalities have an online method of checking for code enforcement violations for properties such that a visit to their office or phone call is not necessary. Also, the party doing the physical inspection may search this as well, but you as the buyer need to make sure what the inspection service encompasses. Nearly all properties within subdivisions are subject to homeowners' associations. The recorded covenants and restrictions are akin to a constitution governing the upkeep and use of the homes within the subdivision. Your due diligence should include reading the covenants and restrictions to thoroughly understand them. Similar to the code enforcement scenario, the foreclosure house may run afoul of the rules and regulations of the homeowners' association, sometimes called an HOA. The association could have delivered a notice of violation of the covenants and restrictions to the prior owner and the violation has not been addressed or rectified. Your title search would not pick this up unless the HOA recorded a lien in connection with the violation. In any event, as the new owner of the property, you have to make the home compliant with the association requirements. Depending on the severity of the problem, correction could be a significant expense. Each homeowners' association has officers and directors. Assuming the HOA is an actual not for profit corporation, which is usually the case, the identity of the officers is public information. Further, each association generally has a management company to collect dues and provide a contact for owner issues. Your best bet is to ask an owner in the subdivision for a contact at the management company and you can inquire from them as to the violation status of your property. If you don't contact the HOA as part of your due diligence, you could have an unwanted expense later. Another reason to contact an association representative is that many associations have rules and requirements with respect to renovations, such as roof replacement. Often, the covenants and restrictions for a subdivision provide for an architectural control board or committee. In addition to obtaining a building permit for an activity like installing a new roof, which would likely be obtained by your roofing contractor, you could need approval from the HOA architectural control board. They often want to know about color schemes and materials. Your subdivision may only allow certain colors or certain material, such as a tile roof. Investigating the association renovation guidelines is necessary to avoid additional expense and delay. In addition to investigating the physical condition and status of title to a foreclosure home during your due diligence prior to acquisition, you also need to check into code enforcement status and homeowners' association violations. Widening your due diligence to include these additional matters could save you from heartache and expense later.